US government highlights the role both companies played after revealing North Korea was behind the WannaCry attacks. 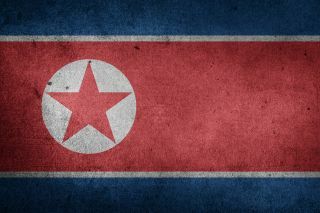 The White House has revealed that Microsoft and Facebook were responsible for disabling a number of North Korean cyber threats last week as the US government publicly denounced Pyongyang for its role in last year's WannaCry ransomware attacks. Though Bossert did not provide any concrete details, he did stress that the US government is calling on more companies to aid in its cyber security defense. Microsoft and Facebook have both been working independently disrupt the activities of the Lazarus Group which is thought to be responsible for the WannaCry ransomware attack that infected hundreds of thousands of computers in over 150 countries worldwide. Microsoft's President Brad Smith highlighted that last week the company had disrupted the malware the group relies upon to carry out its attacks. Microsoft also removed the malware from its users' infected computers and “disabled accounts being used to pursue cyber attacks.” According to Smith, these actions were taken after the company has been consulted by several governments regarding the issue. Facebook confirmed that it had deleted a number of accounts associated with the Lazarus Group “to make it harder for them to conduct their activities.” The accounts in question were fake personal accounts used to build relationships and gain information on potential targets.